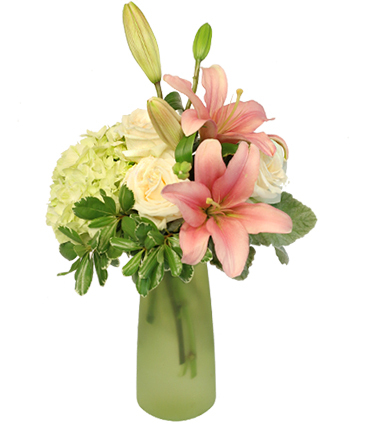 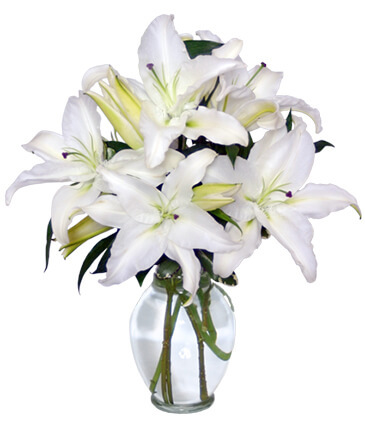 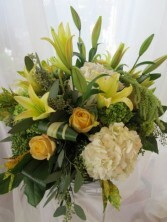 Vase arrangement of soft butter yellow lillies, roses and white hydrangea. 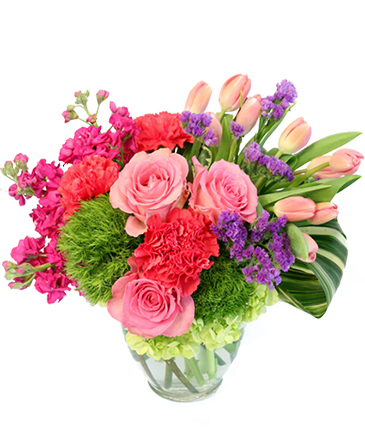 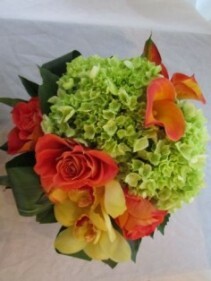 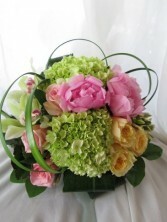 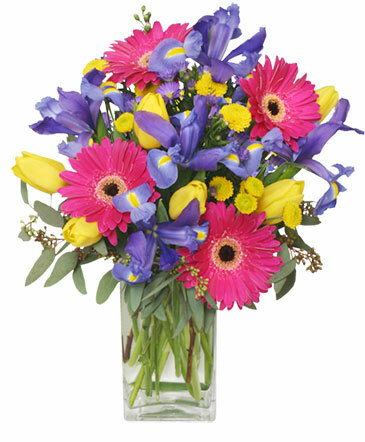 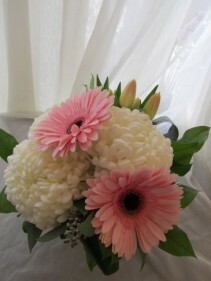 A soft, fresh presentation of mixed flowers for all occassions. 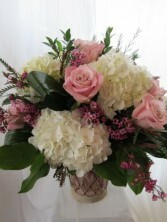 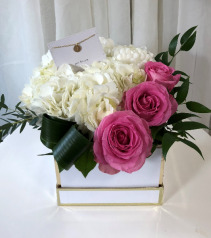 A soft mix of blush roses, ivory hydrangea and wax flower arranged in a decorative, lattice ceramic container. 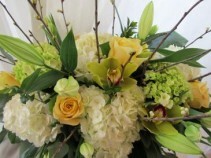 A low and full mix of pastel flowers including green hydrangea, orchids, butter yellow garden roses and pink peonies with decorative greenery. 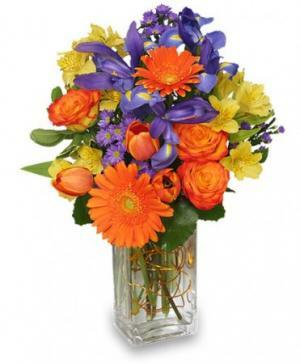 This fresh and sweet arrangement is a great way to send your warm wishes. 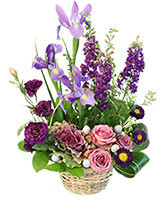 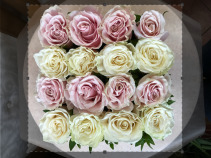 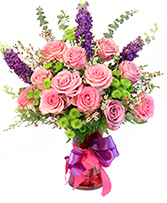 A soft and calming mix of fragrant flowers ideal to send with your warmest wishes to a loved one or friend.